We consistently talk about electrical safety. Unfortunately, house fires happen for various reason and some spark from electrical issues. On average, U.S. fire departments responded to a home fire every 86 seconds in 2015. And of all types of fires responded to that year, 9 lives were lost every day. 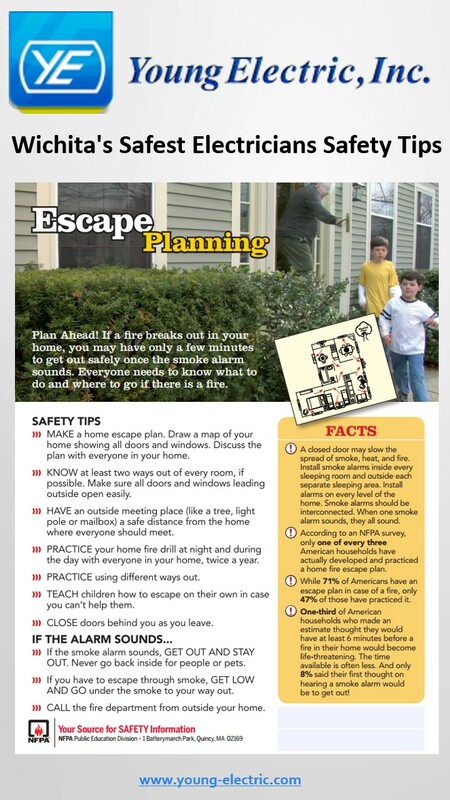 With those tragic numbers in mind, it's imperative to have a basic fire escape plan for your family. Learn more about how to keep your family safe from the video and National Fire Protection Association (NFPA) graphic below.